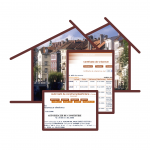 The Urbanization Module manages the specific Urban Planning documents within County Town Halls and Councils – Urbanism Certificates, Building Permissions – Abolition, Positive / Unfavorable Opinions (Single Agreements). The module allows submission of requests (petitions) online to local government institutions (mayoralties, county councils or others) as well as a view of the status of the applications submitted. The module permits audience management, registration of requests, planning, assignment to departments and auditors, and recording of how to solve audiences. The module allows the taxpayer to submit and view audience requests to local government institutions (mayoralties, county councils, or others).